The Land Use Act of 1978 vests ownership of all urban land within a state (except those vested in the Federal Government or its agent) in the State Governor who holds land in trust for the people and allocates same for residential, commercial, agricultural and other purposes. Similar powers with respect to rural (or non-urban) areas are vested in the Local Governments. This means the government becomes the lessor, responsible for granting leases. This is a title document issued by the President, Governor or Local Government Chairperson which contain the terms of lease and grant rights of occupancy to the holder for the leasehold term stipulated therein. This is a document of transfer of land from a seller to a buyer. It outlines the agreement between the person with the rights to a piece of land and the person to whom the rights are being transferred. It contains a detailed description of the land (including its ownership history), the agreed cost, and the date from which transfer takes effect. This is a legal document authorising the transfer of land from one person to another. In the case of the Federal Capital Territory (FCT), it is called Minister’s consent. A foreign investor cannot acquire land in Nigeria. He/she will need to partner with a Nigerian to establish a company before land can be allocated. In states, land registration and administration procedures are undertaken by the Land Use and Allocation Committees (for urban land) and land allocation advisory committees (for non-urban land). In the FCT, the Department of Land Administration under the Federal Capital Territory Administration (FCTA) is responsible. Land application and allocation procedures vary from State to State. Below is the procedure for acquiring land in Abuja. Complete the form and pay application processing fee (N100, 000 for commercial land and N50, 000 for residential land) at designated banks. Present evidence of payment (teller) to the Abuja Geographic Information System (AGIS) to obtain a receipt. Submit the completed application form with the following documents. Steps B – D above apply for land being acquired for residential purposes. h. Company registration certificates – CAC Form, Corporate Tax Clearance Certificates. Due to the delays in acquiring government land, most people and institutions often purchase land from individual owners. However, the FCTA advises against this especially for foreign investors. 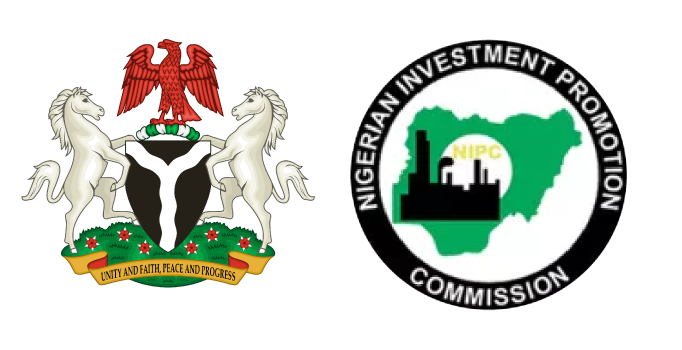 NIPC can support investors with obtaining concessions and/or fast-tracking the acquisition of government land. Investors should however note that the FCTA does not sell land. The organisation only allocates and collects the processing fees, Certificate of Occupancy fees and annual ground rent. The Abuja Master Plan has designated different areas for Residential, Commercial, Religious, Recreational, Industrial, Educational, Health, Institutional and Agricultural purposes and the FCTA monitors all land allocation to ensure adherence to the plan. A building plan approval is necessary before construction can commence. Each state has a ministry, department or agency responsible for issuing these permits. The applicant should have proper title (obtainable from the AGIS) over the land in question. The applicant must abide by the specific use for which the title is granted, in line with the Abuja Master Plan. Land uses are categorized as Residential, Commercial, Religious, Recreational, Institutional, Educational, Health, Industrial and Green trees. Only building plans prepared by, and bearing the seal and stamps of registered professionals (town planners, architects and engineers) will be accepted for processing. Throughout the duration of construction works, both the approved building plan and development permit must be kept on site for purposes of guiding the work and for sighing by officer carrying out routine inspection. Complete the form: Depending on the type of permit being requested, it may be necessary to consult the neighbours of the property in question, especially those that will be affected by the proposed construction. Evidence of rights over the land (Right of occupancy, Certificate of occupancy, Title Deed Plan and fulfillment of financial obligations). A site plan and detailed site analysis report certificate by a registered town planner. Environmental Impact Analysis (EIA) Report for commercial, industrial, public building, recreational, large scale residential development, change of use of plot or on existing buildings and any other land use as may be deemed necessary, prepared and authenticated by a registered town planner. alongside bills for processing application. 5. Applicants must pay full processing fee within two (2) weeks of receipt of acknowledgment and bill before the permit is processed. Free Trade Zones (FTZ) are designed to attract foreign direct investment, increase foreign exchange earnings, promote technology transfer and develop export-oriented industry in Nigeria.The Nigerian Export Processing Zone Authority (NEPZA) was established by the Nigeria Free Trade Zone Act 1992 to grant all approvals for operators within the FTZ to the exclusion of other government bodies and agencies. There are 33 FTZs with 15 operational and 18 under construction. Some of the operational FTZs are: Calabar Free Zone, Kano Free Zone, Lekki Free Zone, Tinapa Free Zone and Tourism Resort, Onne Oil and Gas Export Free Zone, Olokola Free Zone. Foreign investors can set up businesses directly in FTZs without incorporating a company in the customs territory. Registered companies may also register separately and operate in an FTZ. Such registered FTZ entity would have a suffix FZE at the end of its name. Complete an application form. This can be downloaded online, obtained from the Free Zone Administration or from NEPZA HQ in Abuja. Submit a completed application form to the Zone Administration or NEPZA Office along with a Project Plan/Feasibility Study. Applications are reviewed and either approved or returned with observations within five (5) working days. Upon approval, an Operating License (OPL) will be issued by the Free Zone Administration. This licence constitutes registration and no further registration is required with the Corporate Affairs Commission (CAC). At this point, the Free Zone Administration will discuss site location and assign a space to the business. Remit investment capital through a bank located in the zone which will issue a Certificate of Capital Importation. Prepare building or warehouse space. Investors constructing their own buildings must submit four (4) copies of full architectural drawings for approval by Zone Management according to established building codes. Built-up spaces should not exceed 70% of the leased land, and construction should start within three (3) months after execution of agreement. Move in and operate. Government has designed the process to be as streamlined and user friendly as possible. Some companies may need to obtain permission for their foreign employees through the immigration desk offices in the free zones. Recommendation for approval will be passed to the Minister of Industry, Trade and Investment by NEPZA. Recommendation will be passed to the President by Minister for final approval. Issuance of Free Zone Declaration License on payment of licensing and operating fees. Duty-free importation of capital goods, machinery/components, spare parts, raw materials and consumable items in the zones. 100% foreign ownership of investments. 100% repatriation of capital, profits and dividends. Waiver of all imports and export licenses. One-stop approvals for permits, operating license and incorporation papers. Permission to sell 100% of goods into the domestic market (in which case applicable customs duty on imported raw materials shall apply). For prohibited items in the custom territory, free zone goods are allowed for sale provided such goods meet the requirement of up to 35% domestic value addition. Rent-free land during the first 6 months of construction (for government owned zones). There is land availability in Nigeria for investors including in the economic zones. However investors are concerned about the administration and procedure. Governments across the tiers are encouraged to further streamline the process to facilitate reliable access.